Compte rendu publié dans Acta fabula (janvier 2014, vol. 15, n° 1) : "Que fait le soufisme à « la pensée du roman » ?" par Bénédicte Letellier. Edinburgh: Edinburgh University Press, 2012. (Distributed in North America by Columbia University Press). 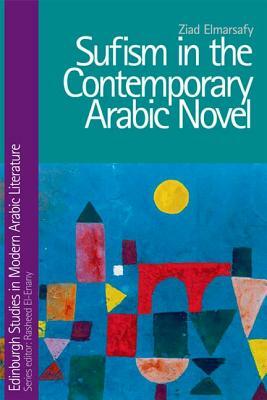 This book explores the uses of Sufi ideas, language and themes in Arabic fiction from 1944 to the present. Although Sufi characters—saints, dervishes, wanderers—occur regularly in modern Arabic literature, a select group of novelists seeks to interrogate Sufism as a system of thought and language. In the work of writers like Naguib Mahfouz, Gamal Al-Ghitany, Taher Ouettar, Ibrahim Al-Koni, Mahmud Al-Mas’adi and Tayeb Salih we see a strong intertextual relationship with the Sufi masters of the past, including Al-Hallaj, Ibn Arabi, Al-Niffari and Al-Suhrawardi. This relationship becomes a means of interrogating the limits of the creative self, individuality, rationality and the manifold possibilities offered by literature, seeking in a dialogue with the mystical heritage a way of preserving a self under siege from the overwhelming forces of oppression and reaction that have characterized the late twentieth and early twenty-first centuries.